Mumbai Football Club had to bite the dust at their home as an 80th-minute goal from Aizawl Football Club’s Mahmoud Al-Amna clinched an important win for Aizawl FC, first time ever for the highlanders at the Cooperage Ground. The hosts lined up in an all new 5-2-3 shape to tackle an Aizawl side playing operating in a 4-3-3 system. Both sides took a little time to settle into the game. As after a string of aimless passes and long clearances, Mumbai FC and Aizwal FC started to play according to their gameplan. The first golden opportunity of the match fell to the visitors. A neatly combined play in the midfield by Aizawl, carved open the Mumbai left flank. Former Mumbai player Jayesh picked up an unmarked Ivorian Bayi Kamo Stephane, in the box, but he pulled his shot over the bar. With over 15 minutes of the game played, Aizawl looked to be more threatening, when in possession. 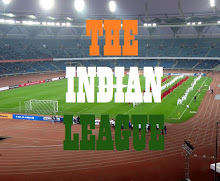 But hosts Mumbai were comfortable at large in their attempts to clear the dangers opposed by Aizawl. A key – during the first half – for Aizawl was Jayesh Rane’s role in the midfield. The ex-Mumbai FC bloke played an instrumental role through the middle sticking passes together, eventually earning his maiden Hero of the match award in his career. As the first-half proceedings came to a closure, much could not be said about the chances the hosts could nurture. Mumbai barely tested Albino Gomes under the woodwork, as they fancied their chances on the break but lacked the sharpness and coordination, at times. 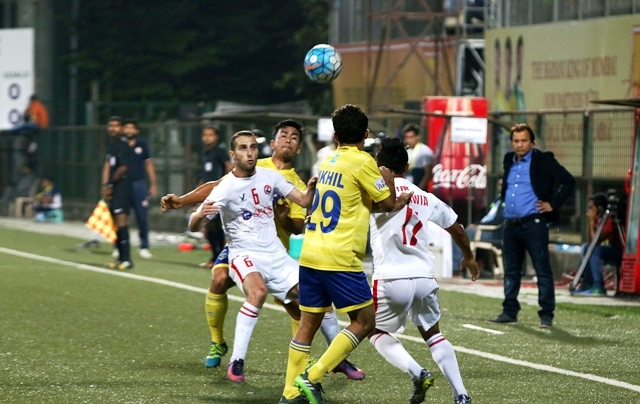 After over an hour’s play at Cooperage, away side Aizawl looked to be in control of the match, as Mumbai, most often were seen defending deep in the match. The home side, despite their substitutions, seemed to have little or no control of the ball; as Mumbai were outnumbered in midfield. Addressing the issue, coach Santosh Kashyap changed to a 4-4-2/4-2-3-1 system, as he introduced Steven Dias into the mix. Finally, against the run of play, Aizawl FC took the lead in the 80th minute. A darting run inside the box from the left by Lalruatthara produced a pass to Syrian Mahmoud Al-Amna, who put the ball past Kattimani, making it 1-0 in favour of the away side. The win lifted Aizawl FC to the third spot with 10 points, sandwiched between Kingfisher East Bengal, who have acquired same points akin to the highlanders but separated by a superior goal difference, and Bengaluru FC who have fought earlier today.